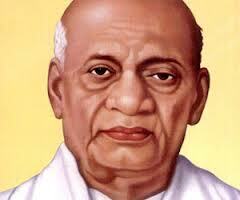 Today 31 October is Celebrated All Over India The Iron Man Sardar Patel Jayanti.He is a Steel Man and Great Minister. 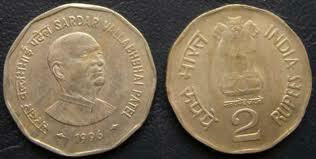 Sardar Vallabhbhai Patel was born in Nadiad in present-day Gujarat in 1875. He completed his schooling in the local area and subsequently, in his 30s, he went to Britain; like many of his generation of political leaders, he qualified as a barrister. 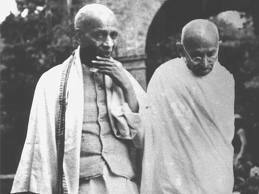 Patel returned to India around the same time as Gandhireturned to India from South Africa, on the eve of World War I, and the two met shortly thereafter. Patel joined Gandhi in representing the weavers in the dispute with millowners in Ahmedabad in 1918, and he played a pivotal role in helping to redress the grievances of peasants in Kheda district. "I will say", wrote Gandhi in his autobiography, "that without the help of Vallabhbhai Patel, we should not have won the campaign. He had a splendid [law] practice, he had his municipal work to do, but he renounced it all and threw himself in the campaign." Patel was charged in 1928 with leading the difficult satyagraha at Bardoli, where again the colonial state was attempting to exact heavy taxes from an impoverished peasantry, and he acquitted himself brilliantly. 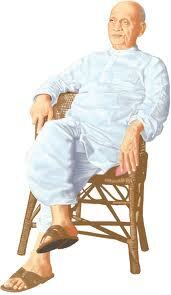 In 1931, Patel was elected President of the Indian National Congress. 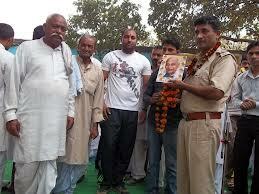 Gandhi reposed great confidence in him through the three decades of their friendship. Sardar Patel was one of Mohandas Gandhi’s closest associates, and he organized and led several satyagrahas during India’s struggle for freedom from British rule. 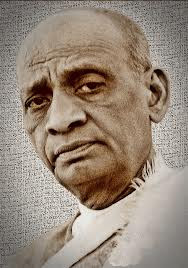 When India achieved independence in 1947, Patel became Home Minister and Deputy Prime Minister, and he presided over the most difficult task facing the nascent nation-state, namely the integration of over 500 princely states into the Indian Union. Gandhi’s assassination on 30 January 1948 at the hands of Nathuram Godse left Patel bereft of the guidance of "Bapu", his political mentor and the "Father of the Nation". [See also Vinay Lal, "'He Ram': The Politics of Gandhi's Last Words".] Patel was immensely shaken up and his own death, in late 1950, may have been hastened by the anxiety he experienced after Gandhi’s death. 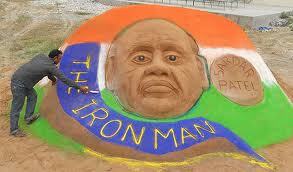 The prevailing representations of Patel dwell almost exclusively on his political achievements, and it is not surprising that three generations of Indian school children have known Patel as the "Iron Man of India". 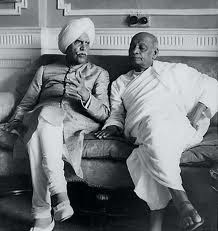 Everyone recognized his steely determination and pragmatism, and nowhere was this more visibly on display when, as Home Minister and Minister of States, he took decisive action to consolidate the Indian Union and authorized police action to merge Hyderabad into India. 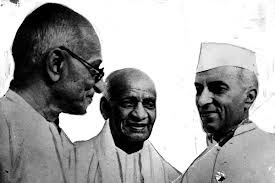 It has been suggested by some people that if Patel had been placed in charge of Kashmir, a "problem" which Nehru sought to tackle himself both as Prime Minister and as Minister of External Affairs, the crisis in Kashmir would have been resolved in India’s favor a long time ago. Though a staunch Hindu, Patel had a keen appreciation of the syncretic culture of India, and he recognized that India had furnished a hospitable home to adherents of various religions over the centuries. 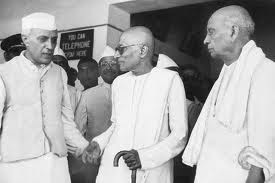 Patel contributed very substantially to the deliberations of the Constituent Assembly, and it has not always been recognized that the protection and privileges guaranteed to minorities in the Indian Constitution under Articles 29 and 30 owe much to the vigilance of Patel. 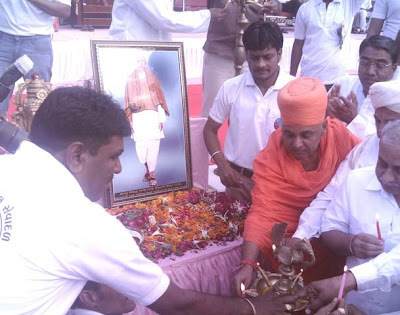 Indeed, Patel, unlike some other Hindu leaders, was insistent that the right to proselytize should be recognized as part of the right to freedom of religious worship. 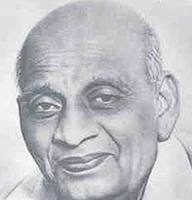 With respect to the position of Muslims, Sikhs, and other religious communities in India, Patel wrote that "it is up to the majority community, by its generosity, to create a sense of confidence in the minorities, and so also it will be the duty of the minority communities to forge the past . . ." His criticism of the use of violence to resolve political disputes bears a sharp contrast with the use of violence by religious extremists in India in recent years. In 1949, an idol of Lord Ram was surreptitiously installed in the precincts of the Babri Masjid; writing to Govind Vallabh Pant, then Chief Minister of Uttar Pradesh, on 9 January 1950, Patel encouraged him to prosecute violators of the law and perpetrators of violence. "I feel that the issue is one which should be resolved amicably," wrote Patel, "in a spirit of mutual toleration and goodwill between the two communities. . . . such matters can only be resolved peacefully if we take the willing consent of the Muslim community with us. There can be no question of resolving such disputes by force." 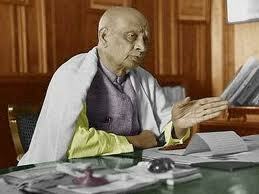 Patel desired nothing more than that the Indian nation-state should persevere and flourish. 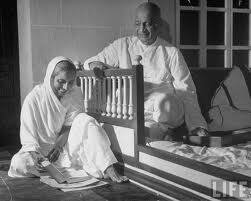 Nehru’s biographer, S. Gopal, admitted that Patel’s "major concern was national unity." 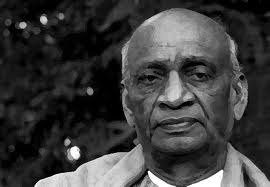 Patel is still remembered as one of principal architects of Indian independence and one of the shapers of modern India. His devotion to the idea of the nation-state also points to the limitations of his thinking; unlike Gandhi, Patel could not think beyond the nation-state, and he was incapable of offering the critique of modernity that Gandhi pioneered. Nor did Patel have the kind of far-reaching and complex views of science, industrial civilization, masculinity, or a whole host of other subjects on which Gandhi pondered for a considerable portion of his life. The characterization that has sometimes been used of Gandhi, namely that he was a doer rather than thinker, is in fact far more apposite of Patel. In recent years, Patel’s name has been abused and degraded by those who purport to act in his name, or who pretend that, since Patel was a staunch Hindu, he tolerated the neglect if not mistreatment of Muslims. It is true that even in his own lifetime, there were rumors, particularly at the time of partition, that Patel was not sufficiently attentive to the plight of Muslims, and that he did not do enough in his capacity as Home Minister to ensure their safety. This view rests largely on rumors and innuendoes, since Patel’s own writings, including his correspondence, lend little if any support to the representation of him as a Hindu communalist. Gandhi himself never believed any of these rumors and, indeed, held Patel to the highest standards. 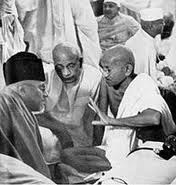 Some people even held Patel ultimately responsible for the assassination of Gandhi, and he is alleged to have not done enough to unearth the conspiracy to murder Gandhi after the initial plot of 20 January 1948, where police were able to hold Madanlal Pahwa captive, was foiled. Gandhi’s "love for Muslims", in the language of his most ferocious opponents, is thought, on the communalist reading, to have left the Sardar unhappy. 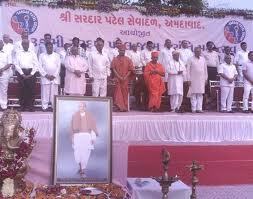 But just how far the Hindutva appropriation of Patel, the consequences of which still remain to be unraveled, has gone can be seen in the disturbing fact that the murderous Narendra Modi, the butcher of Gujarat’s Muslims, is gone on public record as having described himself as the "Chote Sardar" [small Sardar]. Unless one engages in a careful, hermeneutic, and dialectic reading of Patel, the ‘iron’ man who became one of the eminent followers of the preeminent practitioner and theorist of nonviolence, he too will disappear into the pantheon of martial Hindu heroes and the bottomless well of Hindutva chicanery.